When I first started playing roller derby, you couldn’t keep me off the track. If I was injured? I skated through it. If I had work to do? I went skating. If it interfered with my personal relationship? Too bad. I’m skating. It felt like the first thing I’d every been ALL IN ON in my whole life. I’d spent 25+ years wondering about people that harbored a deep and abiding passion and assumed I’d never feel that. Until I met roller derby. So I wanted to skate all the time. And once I figured out that cross training made me a better skater, I wanted to cross train all the time, too. “YOU COULDN’T GET ME TO TAKE AN OFF-SEASON IF YOU PAID ME!” I used to joke to all my similarly afflicted teammates. The joke doing double-duty because of course we don’t get paid. And we also don’t take off-seasons. I got older and my recovery post-training and post-practice took longer. I was pregnant and my body literally changed shape. I made the long slog from the bottom of the roster to the top only to find that I was one of the few experienced skaters left. Every year was a re-building year. For my body and for my team. It’s equal parts physically, mentally, and emotionally exhausting. Don’t get me wrong. I still love it. But I also know that I need to find a way to balance (and take a break from) all of these things if I want to keep loving roller derby close up. Which I think I do. Any time I ask questions on social media about the off-season, I inevitably get at least one of the following response: “What off-season?” Followed by emojis and, one assumes, all the LOLs. At first, I would chuckle along with this response. But more and more it infuriated me. That’s absurd. You just can’t go that hard all the time. And asking athletes to do that — on top of committee and league requirements, day jobs, families — is, well, absurd. It’s absurdly absurd. Your league should start budgeting for those golden platters your going to hand out the invitations to burnout on. 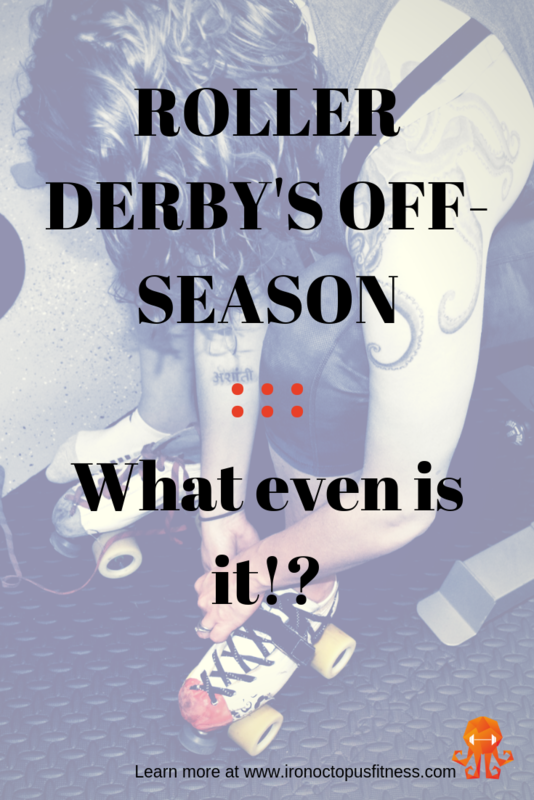 But since there’s no real definition of what a roller derby off-season is or when to take one or why we might need one or what to do with one, there’s been no real answer. Do you just keep plugging along and hope your league is made up of robots with human facades? Or do you roll the dice on an off-season without knowing what might work? BUT WHAT ACTUALLY IS THE OFF-SEASON? The off-season was originally defined by what it was NOT. It’s a time when you DID NOT engage in your primary sport. There are even rules and sanctions in place for many college athletes to keep them from participating in their sport during the off-season. But…somewhere along the way, “more is better” became the blueprint by which the off-season ran. And, because roller derby started as a spectacle more than a sport that attracted people that had never been athletes before, the transition into actually thinking of this sport as existing in seasons at all has been a long time coming. And by then, the though of taking a step back in the form of an off-season was already causing feelings of panic among skaters. Determining the length of a proper off-season is a little like that Tootsie Pop commercial with the owl: “The world may never know…” Off-seasons for major sports have been an experiment in and of themselves. Experiments that are often predicated more on making money than on exercise science. And when studies ARE done on athletes training across their season, it’s often a very specific type of athlete. Non-professional athletes usually have to train within the off-season they’ve been given which can change depending upon what sport they play, what level they play at, who they play for, or any other number of outside factors. The heavy contact sports — football and rugby — have shorter competitive seasons and longer off-seasons. Pre-season training for every sport is QUICK. Post seasons are typically spread out over a few months. The WNBA season is unfairly short compared to other professional sports and you should be pretty pissed off about that. Just generally. And what the chart doesn’t show you but is generally true: sports with long seasons tend to provide players more downtime during the season either in between contests (WTA) or not rostering players for every single game (MLB). There’s not a definitive answer as to what length of off-season would be the best for roller derby, but modeling it after other sports where brains get shaken around and heavy contact is part and parcel of the sport is probably a good place to start. It’s true! Roller derby IS a lot like hockey. But it’s also not hockey. A lot of the repetitive movements might be similar and both sports happen on skates, but roller derby has a much closer field of play and more heavy, sustained contact during a game. I get hit pretty hard a minimum of thrice per every jam I skate. And that’s a VERY conservative estimate. OKAY. SO NO SKATING OR…? The biggest pushback when talking about the off-season often comes from the folks that want to skate ALL THE TIME. Taking time off can feel like ripping their heart from their body and stomping it into flat, bloody bits. But the truth is that no (roller derby) skating during your off-season is probably a good idea. This is just generally a good idea because turning hard and skating left for hours each week for months on end is a recipe for overuse injuries. 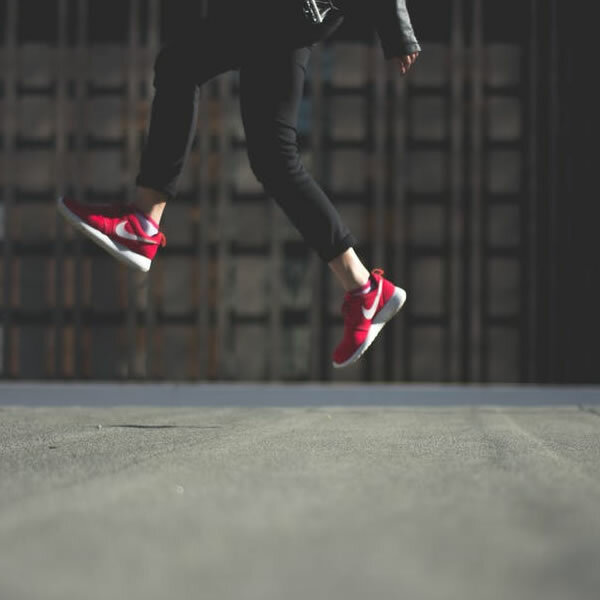 However, staying active during your off-season is key for helping to reduce injuries and bored. So roller derby is out, but complementary sports are an AMAZING idea during your off-season. What sports might complement roller derby? They all have benefits that can ultimately help you skate without having to, you know, skate. Or at least not skate in the same way you do during practices. BUT I DON’T WANT TO TAKE AN OFF-SEASON? What are you worried about if you take time off skates? I genuinely think EVERY SINGLE ATHLETE should ask themselves this question if they are resistant to the idea of time off. That’s a mental block you’re having, not a physical one. I love roller derby. I really do. But I need a break from it. It takes up so much of my mental, physical, and emotional energy can time that there’s no way I can give it my all all of the time. It’s a little like spending time with my kid. I LOVE Autotot. But I can’t be around him all the time without wanting to punch something. When I’m able to step back, catch my breath, and reconnect with who I am outside of being a mom — it makes me a way better mom. I’d argue roller derby is the same. Give yourself a chance to miss the thing you love. It will make you appreciate it even more. Yep. Good advice to take a rest. Our league is taking a 14 week one this year. Which is lucky for me cos I broke my tib and fib at training, therefore I have time to recover. But in saying that we do need a rest from each other.. And Derby. Quite at least 9 of us have leg Injuries of some type this year and we all need the recovery time. I’m sorry to hear about all the leg injuries. A little time off sounds like exactly what’s needed. Heal well! The Order In Which You Lose Skill Isn’t What You Think.